Eve has been practicing sports since she was a kid and joined the National Gymnastic Athlete where she achieved a Bronze medal. 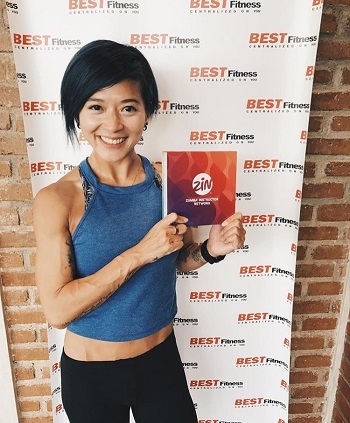 With 10 years of experience as a Group class Instructor working for the big chains gyms as Celebrity Fitness, Gold's Gym and Best Fitness she starts a new adventure at SoulSpin as Group class Instructor. She will motivate you to exceed your expectations and love yourself for it. A national athlete for gymnastics, lifelong dancer and fitness enthusiast with 21 years of experience in the fitness industry. He believes that everyone can achieve greatness and bring their inner athlete out with practice and commitment. After spending years working in Singapore he comes back to Jakarta to help people find their best self. In class, great music, charm and personalized attention will guide you to achieve more than you ever thought possible. Italian,mom of two kids,certified in spinning and a yoga passionate brings her energetic SOUL with a lifetime passion for cycling.Simona creates an exhilarating atmosphere with her deep connection to music and her ability to lead her students on an inspirational journey towards total self-empowerment. Certified Pound Pro Instructor, ZIN, Piloxing, Salsation. Anastasia's passion for music, having fun, and pushing your limits, will leave you sweating with a smile and looking forward to what comes next.Her class combines years of dance training with a firm fitness foundation to bring her clients a rhythmic and rigorous experience.